If you are looking for a way to enhance or improve your smile, cosmetic dentistry procedures by our Brookline dentist are a great place to start. Our services are intended to get you back the smile you once had. Whether you need a dental implant or bridge to replace a missing tooth, or a crown or bond to restore a tooth or two back to its previous condition, we have your back. Our expertise and attention to detail ensures your smile will retain its brilliant appearance. Invisalign services are another great way to enhance your smile. For patients needing straighter teeth, this option offers fast, reliable results every time. If you are considering cosmetic dentistry procedures, the first step is arranging a consult with our Brookline dentist team. We’ll take a look at X-rays, photographs of your mouth, and perform a visual inspection of your oral cavity. We may take an impression of your mouth as well in order to better see the intricate details of your teeth and bite. 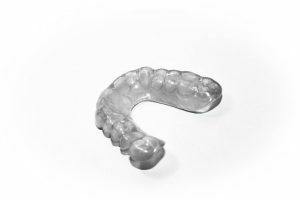 Impressions are exceptionally helpful in getting you started with Invisalign. We use the upper and lower impressions to determine where the teeth should move. Then, based on all of our information at hand, we can develop a course of treatment for your new smile. Some procedures can be handled within one or two visits. Dental implants, crowns, bonds, and such take little time. Invisalign is a bit different if a straight smile and better bite is the end goal. Invisalign uses a series of different sized trays which are swapped out at varying stages in order to safely guide your teeth into their new alignment. It is very important to have clean teeth while wearing your trays. Brush twice (or more) each day and floss, and take the opportunity to brush and rinse off your trays before reinserting them. Typically trays are worn all day except for when you eat. Most dental work requires regular brushing and flossing of some sort and staying away from foods that may stain. When wearing Invisalign trays, it is important to avoid beverages and foods that tend to stain enamel. The residue of these consumables can sit on your teeth and get into your trays; hence, the importance of brushing after you eat and drink. Stick to water when possible and to foods that will keep your teeth and gums in great shape or brush your teeth after eating snacks and meals. Most trays are worn for up to two weeks before a new tray is necessary for your treatment plan. Keep a travel-sized toothbrush with you at all times in order to keep your trays clean when you’re away from home. The goal of our Brookline dentist and staff is to make sure you have the smile you want while maintaining a good oral health regimen. Call our office today to inquire about our cosmetic dentistry services or visit us on Facebook. We’d love to help your smile reach its full potential. We offer emergency phone consultations to our existing patients. Call us anytime at (617) 232-8113.